Deep space in the distant future, and Captain Greeg and his crew are hunting mile-long Space Whales on a vast harvesting ship. By pure accident, they also capture the TARDIS. The Doctor and Peri must use all their wits to survive. But what is the creature running loose in the ship's bowels? 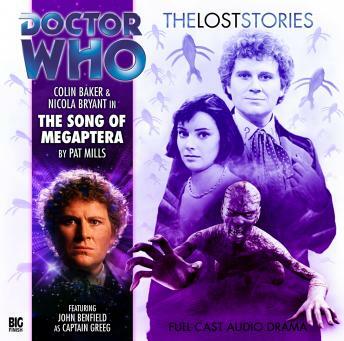 And can the Doctor save Megaptera before its song is extinguished forever?